You can explore from your desk some of Victoria's most intriguing historic sites as if you were in a video game. 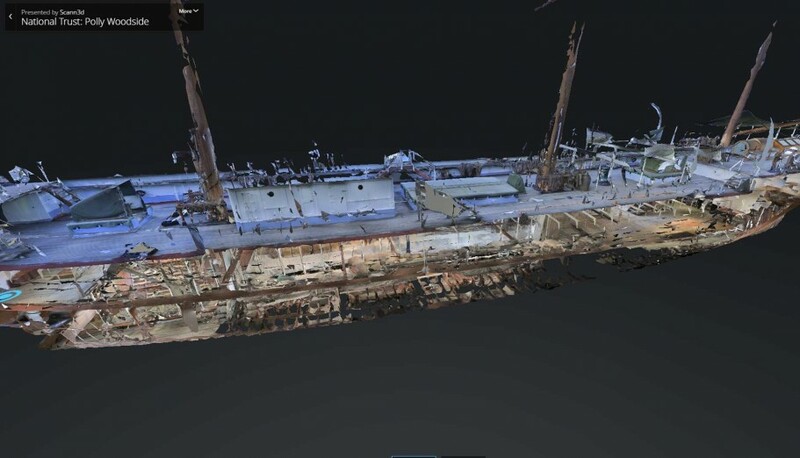 Take a virtual visit of our historic sites using new 3D technology. 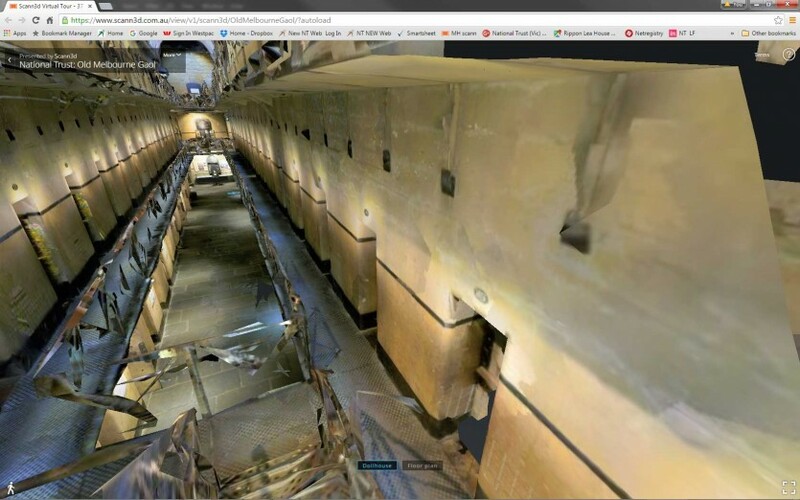 This application lets you wander around our sites and see them just as though you could really walk around from room to room or place to place. 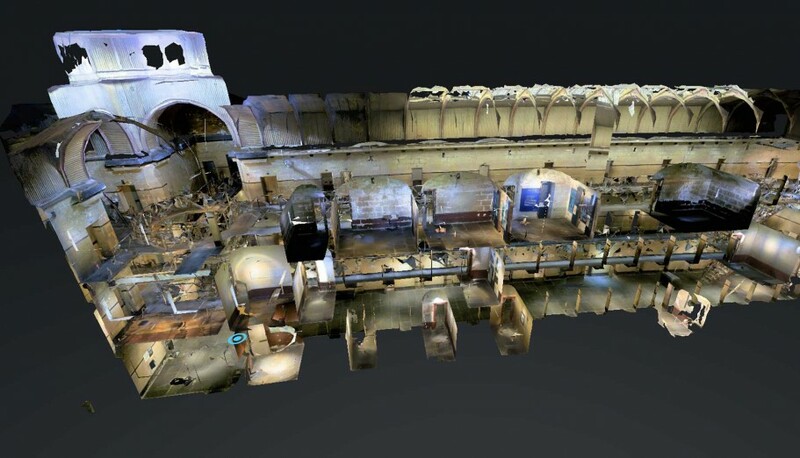 We have scanned two very different properties and made them available for you to explore. Suitable for Yr 5 and above. 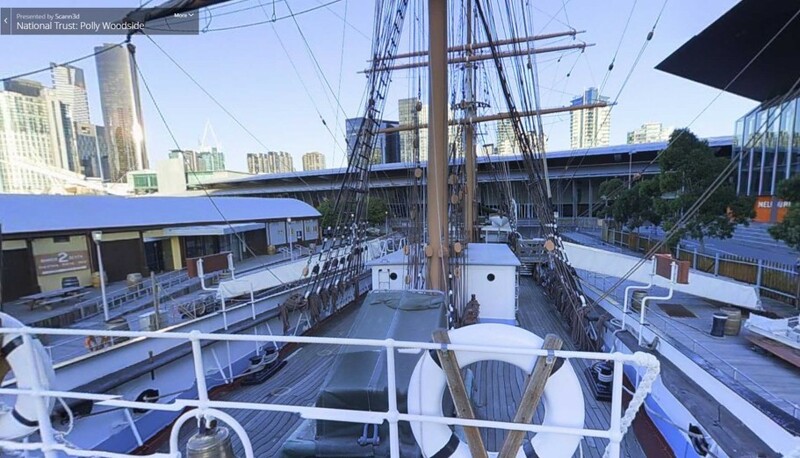 Students can explore all three levels of the Polly Woodside, a fine example of a merchant fleet sailing vessel from the late 19th Century. The Polly Woodside was built in Ireland in Belfast’s shipyards in 1885 and was named after the owner’s wife Marian ‘Polly’ Woodside. Polly Woodside sailed on 17 journeys between 1885 and 1904, rounding the notorious Cape Horn – the ‘sailors’ graveyard’ 16 times. She also visited ports all around the world. 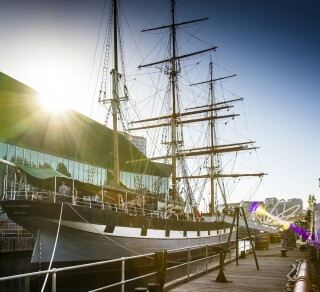 Renamed Rona in 1904 she sailed the Tasman and Pacific trade routes until 1922, before ending her working life as a coal hulk in the Port of Melbourne. 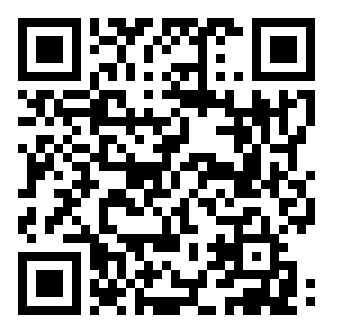 Suitable for Yr 8 and above. 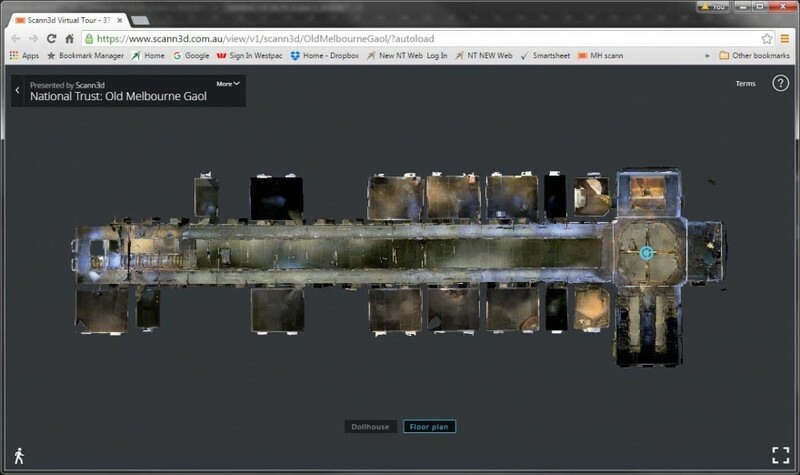 Age Warning: – The Old Melbourne Gaol is an original 19th Century prison and is an unsuitable environment for lower and mid primary levels to explore. 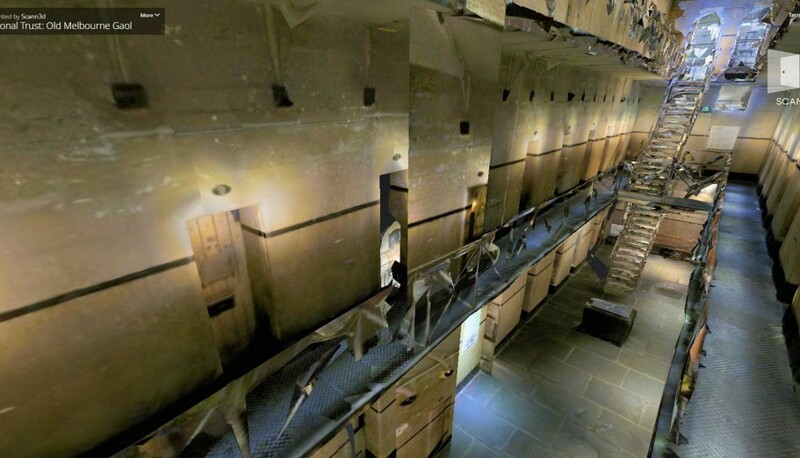 Explore the Old Melbourne Gaol across three levels and spend time inside a gaol cell. The Gaol has many stories told in the text panels on the walls about the many felons and convicts who spent time there including bushranger Ned Kelly. Find out more about its history here. 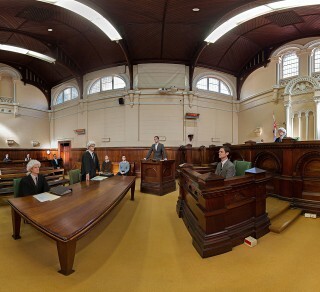 Visit the Old Melbourne Gaol using the Samsung VR headset. Use this link to download the VR program to your Headset. Imagine you are a sailor in 1885. 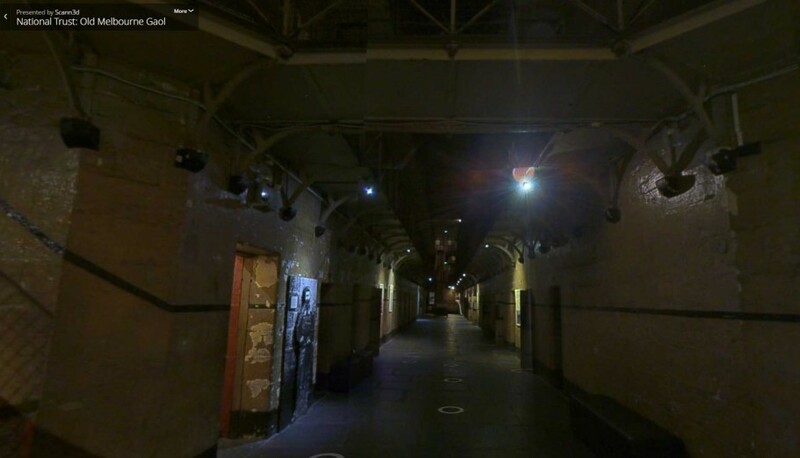 Become a convict and tour the Gaol at night. 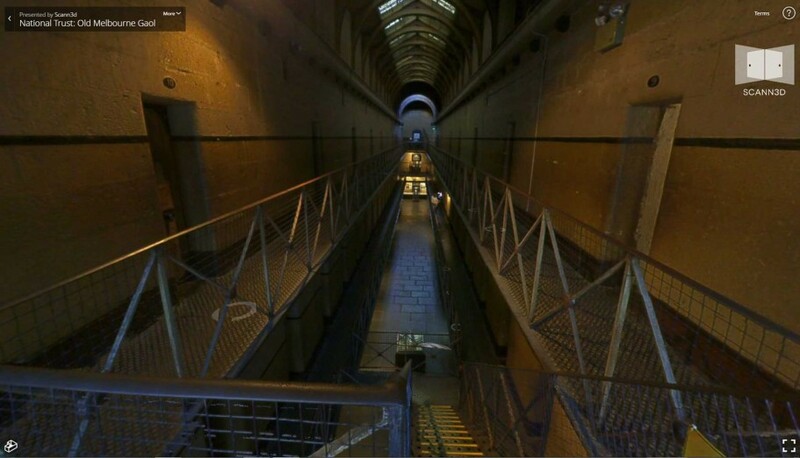 Explore the Old Melbourne Gaol across three levels and spend time inside a gaol cell. 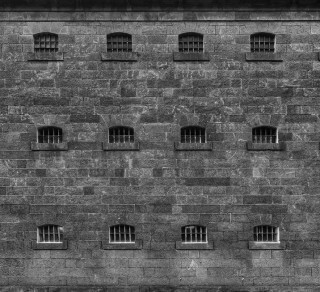 Age Warning: - The Old Melbourne Gaol is an original 19th Century prison and is an unsuitable environment for lower and mid primary levels to explore. The Ship’s Bell – the Ship’s Bell was rung at different times to tell the sailor’s what time of the day it was. Sailors were divided into two shifts called watches. When one Watch was on duty the other watch could sleep. The Wheel – the helmsman steered the ship and had to have a look out at the front of the ship to warn of dangers ahead. What possible dangers could a ship face at sea? The Galley – a ship’s kitchen is very busy as they have to provide meals for the crew at different times throughout the day. What sort of food did sailors eat? The Anchor – the anchors were stowed on the deck until they were used to stop the ship from moving when in a bay or port. Could you use an anchor to stop a ship when out at sea? The Binnacle – this is used to help the Helmsman and Officers steer the ship on a set course. What do you think is inside the Binnacle? 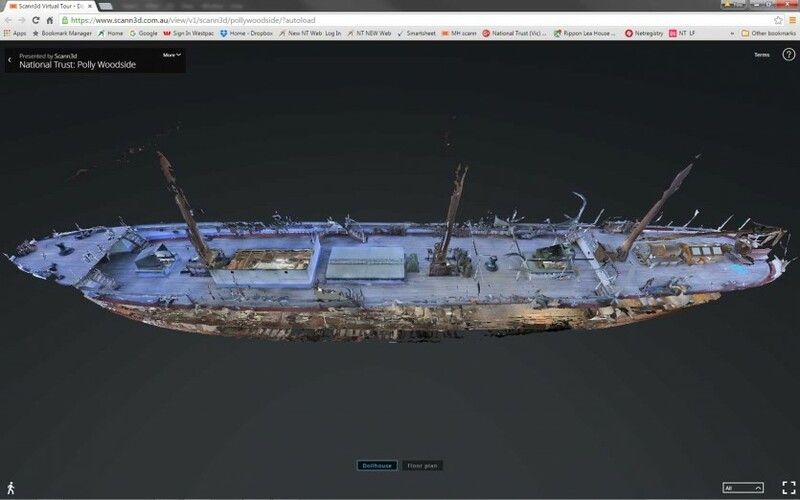 Discover some different types of sailing ships and boats. Can you work out the answers? Bedrooms on ships are called cabins. How many cabins can you find? Why does the Captain have his own special cabin? What special things does the Captain have in his cabin? How many masts are there on the ship? What is the deck made from? 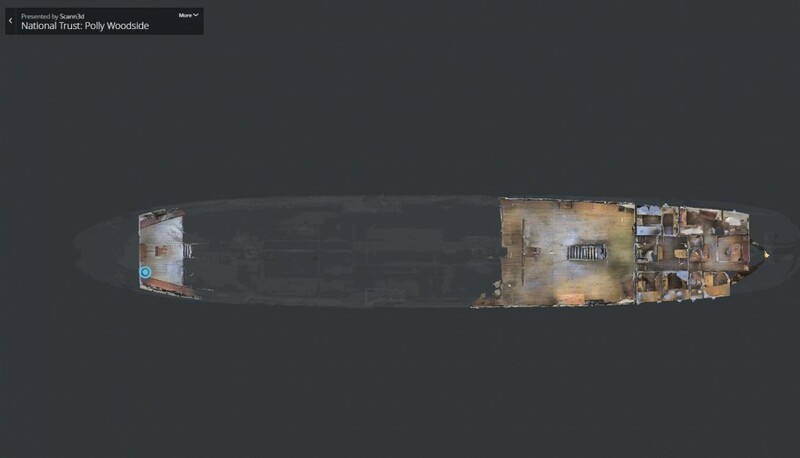 What are the sides of the ship made from? 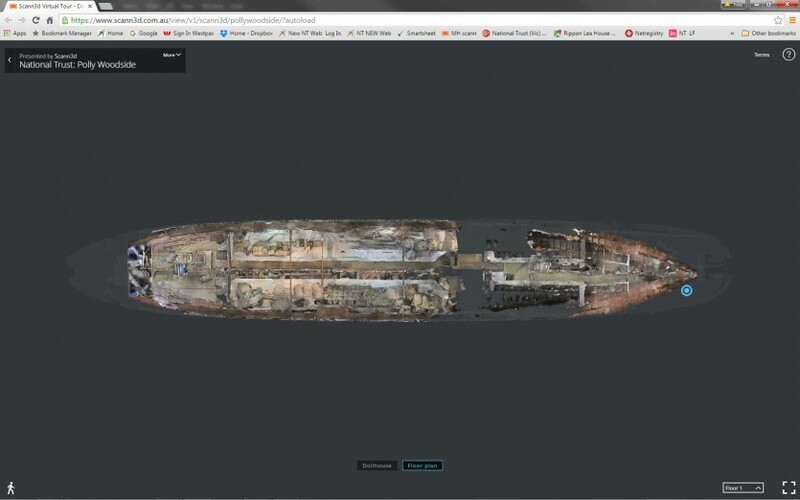 Make a list of all the different materials you can find aboard a ship. 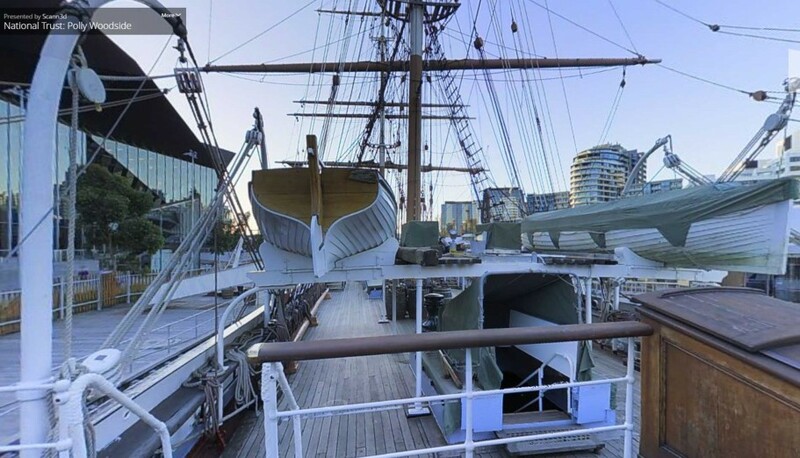 How did sailors climb up the masts? Why are there so many ropes? What safety equipment can you find aboard to help sailors if they fell over board? 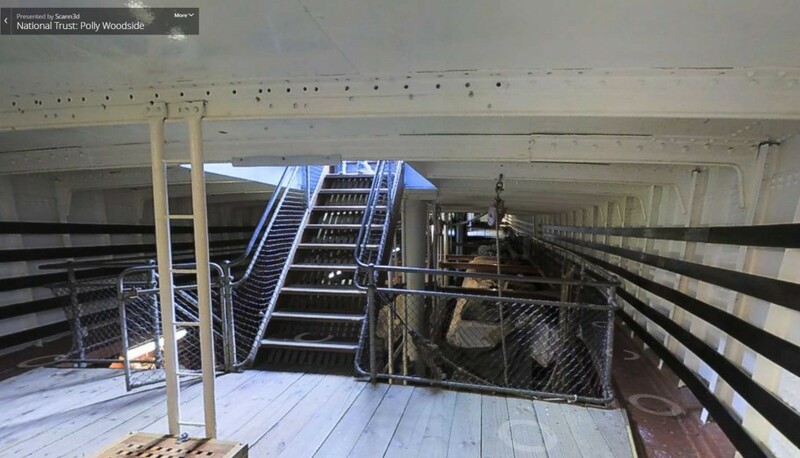 On the top deck near the anchors there is a tall green metal cylinder that appears to spin around called a capstan. What do you think this did? In front of the Ship’s Wheel is a brass binnacle. What do you think was inside the binnacle? Can you see the Silence Mask on the left? This was a mask worn by prisoners on the ground floor. The mask prevented other prisoners from identifying them. They had to wear the mask at all times outside their cell and not talk to other prisoners. Prisoners began their time in Gaol in the 19th Century in this way. Inside their cell they had a Bible and were expected to spend time in solitary confinement considering their deeds and need to improve their ways. Do you think this would help prisoners become better citizens? Why do we have Gaols? How does a Gaol have a role in preventing crime? Visit Cell 29, Ground Floor – Earnest Knox – 18 years Old. Read the story of Earnest Knox who was hung for murder of a pawnbroker in 1894. He was 18 years old. What is a pawnbroker? Why were pawnbrokers often at risk of burglary? What has changed in terms of sentencing since 1894 for a serious crime such as murder? What has changed in terms of sentencing for crimes committed by young people and children? Ned Kelly was hung at the Old Melbourne Gaol on 11 November 1880. Find out about the Kelly story. What crime was he sentenced to death for? When did he become a bushranger? Were bushrangers common in Ned Kelly’s time? Ned Kelly shot two police officers at Stringybark Creek in 1878 yet some people regard Ned Kelly as a hero while others regard him as a murderer and thief. Why do you think Ned Kelly has become a famous figure in Australian history? This is a large cell. Prisoners began their stay in Gaol in silence in solitary confinement in the ground floor cells. They would go to a group cell with other prisoners after a few months if they were well behaved. This cell would have been cramped with as many as 9 prisoners. A single bucket would have been used as a common toilet. The cell would have smelt terrible and been cold in winter and become very hot in summer. Despite the awful conditions of a group cell solitary confinement was regarded as a severe punishment. Why? These are Death Masks. They are plaster casts of the heads of prisoners who were executed at the Gaol in the 19th Doctors and scientists made the casts of prisoners because they believed in the science of phrenology. Phrenology was the study of bumps and shapes on the human skull which were thought to indicate personality and behavioral disorders. This so called science was shown to be completely false in the late 19th Century. What other things do you notice about the 19th Century Gaol system and punishment system that we no longer believe are true or acceptable? What things do you think are the same? Visit Cell 31 Ground Floor – Why is it different? What are the walls made from in this cell? Why do you think they are different from the stone walls? What evidence does this provide regarding the mental state of some of the prisoners who may have been locked up here? He raised his family in a fine residence inside the Gaol’s walls. What do you think a childhood growing up in the Gaol would have been like if you were one of his children? How would you feel about the Gaol if it were your family home? What do these accounts tell us about the sorts of prisoners sentenced to spend time in gaol in the 19th Century? What do these accounts tell us about the role of the gaol in managing welfare?